A unique gift that will bring joy every time it is worn! 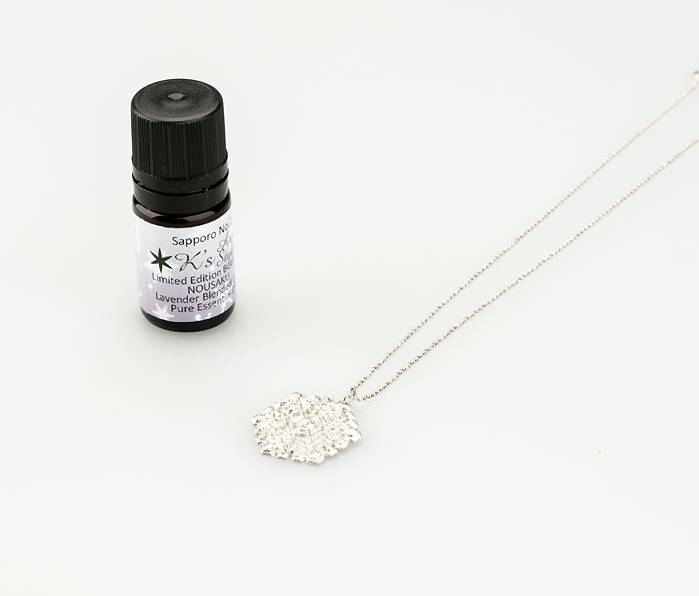 This beautiful aroma pendant is a collaboration between the tin craftsmen from NOUSAKU and a high class aroma specialist from Hokkaido, Northern Japan. Made 100% out of tin, the necklace is bendable into your preferred shape and can be adjusted at any time. Having nearly the whiteness of silver, tin does not rust easily or gets tarnished by air. It has antibacterial properties, low allergic reactivity and high heat conductivity. Furthermore, it absorbs the oil and aroma, allowing the wearer to not only enjoy the beautiful jewelry in itself, but also the beautiful Japanese fragrance that comes with this set. The aroma is a rare Sapporo (city in Nothern Japan) blend, combining different oils, starting with a refreshing citrus aroma, slowly turning into a well-balanced, relaxing blend of lavender and roses. 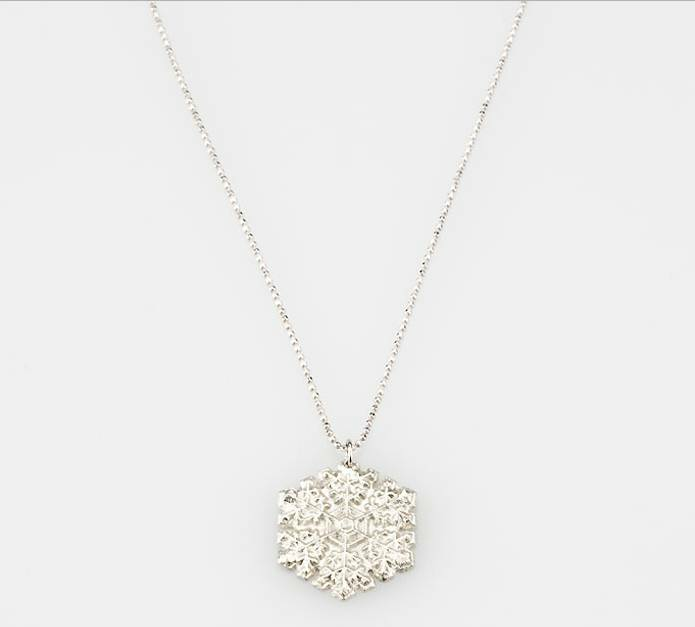 The YUKI design translates into a beautiful Snow Crystal. Just apply the oil directly to the thin to enjoy the scent throughout the day. NOUSAKU is an innovative maker of metal craft from Takaoka - the center of the Japanese casting industry. The company is famous for its wind bells, tableware and home decoration. NOUSAKU products are displayed in the New York MOMA. They also are used by chefs of top restaurants, who particularly care about design and quality.